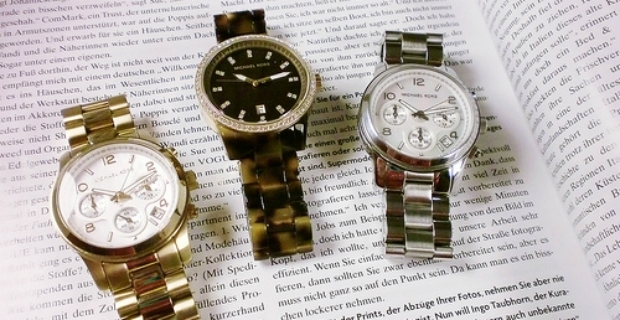 If you love elegant and beautiful timepieces, consider Michael Kors designer watches. They are sleek and modern pieces that you will love made by the New York City-based fashion designer. Although Kors is known for his classic women’s American sportswear, he also dabbles in other luxury goods such as shoes, accessories and watches. Michael’s career is impressive. He used to be the creative director at the House of Celine in Paris. His clothing and women’s wear are sold in high end stores such as Lord & Taylor, Bloomingdales, Saks Fifth Avenue, Bergorf Goodman and Neiman Marcus. Celebrities and renowned figures wear his creations such as US First Lady Michelle Obama, Jennifer Lopez, Heidi Klum and Jennifer Garner. It is no wonder Michael Kors designer watches are also coveted. They are affordable and modern pieces that you find on the website, michaelkors.com. The two-tone, Michael KorsParker Glitz Watch sells for $250 while the Pave Crystal Parker Watch costs $350. This beautiful stainless steel watch is embellished with clear pave crystals and numeric detail. It has a chronograph and stop watch function and is water resistant up to 4 ATM. An ideal dress timepiece is the Michael Kors Golden Stainless Steel Parker Three-Hand Glitz Watch with its black snake leather strap. It costs $225. 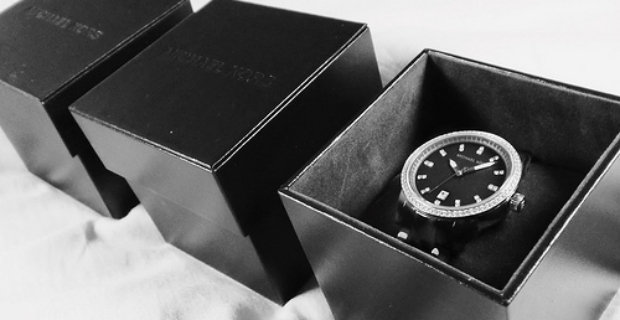 The watch is decorated with crystal bezels and has a three-hand movement. The Chronograph Glitz Watch for the same price is not so shabby either. If you’re looking for something different, you can check out the Mid-Size Golden Stainless Parker Chronograph Glitz Watch for $375. For a sporty look, consider the Oversize Gunmetal Stainless Steel Everest Chronograph Glitz Watch for $450. Women will love the selection of Michael Kors watches such as the Double-Wrap Leather watch selling for $160 and the dainty Mid-Size Pink Leather Runway Three-Hand Watch. The Oversize Lizard-Embossed Gramercy Chronograph Glitz Watch selling for $275 is a gem and quite unique with its gold lizard leather and amber studded face. Try also the Tortoise Jet Set watch for $225 or the Mini-size Horn Acetate Chain Bracelet Watch for $225. From silver and golden to leather and glitz watches, you’ll find an incredible selection of timepieces that are trendy and elegant at affordable costs.